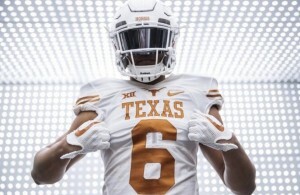 Tom Herman needed a special athlete in the 2020 class. He needed a guy who can tote the rock, catch passes in the flat, or pick up blitzers on third down. He got a versatile athlete today when Dallas Bishop Dunne APB Jaden Hullaby committed to Texas. Hullaby had offers from over 20 schools including Arkansas, Baylor, Florida, and LSU. At 6-foot-2, 200 pounds, Hullaby played at Mansfield Timberview his sophomore year, but moved to Bishop Dunne the next season. 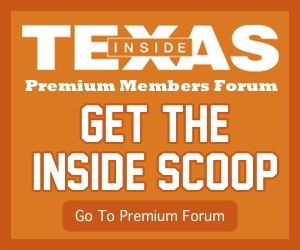 How he fits at Texas: There’s a lot of Danny Young in Hullaby’s game currently. He’s plenty athletic enough to hit gaps in the run game with some burst to come out the other side. But at 6-2/205 with a hard running style his real upside is packing weight onto a skilled and athletic frame so that he could grow into a punishing blocker at H-back. In time he could be like Andrew Beck or Chandler Cox, a player with the versatility to move around and play in different spots but for whom it starts with serving as a hammer in the run game. Hullaby has the speed and hands to get out wide and catch balls but the hope would be that he could get to 230+ and learn to root out DEs. 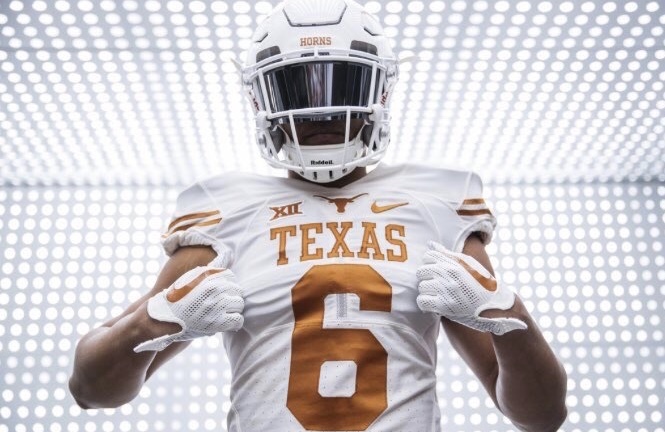 Hullaby is the fifth member of Texas’ 2020 class joining Jaylen Garth (Port Neches-Groves), Jake Majors (Prosper), Logan Parr (Helotes O’Connor), and Hudson Card (Lake Travis).